Given that Mississippi is a bible belt state, it should come as to no shock to you when I say that there are better states for poker players. It’s the worst state in the US for poker. You can still play in casinos. However, online poker and home poker games are off limits. But there are even loopholes here, so it just comes down to your own risk threshold. Read on to learn what those loopholes are. No. Internet gambling is illegal under state law. Online sites may advertise they are “legal” and “licensed” forms of gaming. They may be legal or licensed where the bets are received, but it is illegal to place bets from Mississippi with these businesses. There is no grey area here. In most states, home poker games, usually referred to as social games, are ok so long as no one is taking a profit other than what they make playing. That means no rake, door or food fees, or rental fees. Is it legal to play poker at any location other than a casino? No. With the exception of licensed casinos, Mississippi law prohibits all forms of gambling and lotteries. The general prohibition against gambling can be found at Miss. Code Ann. § 97-33-1. In addition to the general prohibition, the Gaming Control Act makes the operation of any “gambling game” without a license a crime. The penalty isn’t very kind either, considering that the types of games people play are less than $100. SEC. 97-33-1. Betting, gaming or wagering; exception from prohibition; penalty. If any person shall encourage, promote or play at any game, play or amusement, other than a fight or fighting match between dogs, for money or other valuable thing, or shall wager or bet, promote or encourage the wagering or betting of any money or other valuable things, upon any game, play, amusement, cockfight, Indian ball play, or duel, other than a fight or fighting match between dogs, or upon the result of any election, event or contingency whatever, upon conviction thereof, he shall be fined in a sum not more than Five Hundred Dollars ($500.00); and, unless such fine and costs be immediately paid, shall be imprisoned for any period not more than ninety (90) days. Do Casinos in Mississippi Offer Poker? Yes, residents of Mississippi offers tribal gambling and riverboat casinos. A couple of the casinos include the Lady Luck in Vicksburg and the Hard Rock Hotel and Casino, which was scheduled to open the week that Hurricane Katrina struck. We receive a lot of questions about the legality of playing poker online and gambling in Mississippi. We thought it would be helpful to post those questions and our answers here for everyone to benefit from. 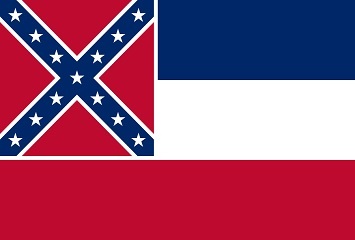 Will online poker be regulated in Mississippi? There were two attempts at bills similar to Nevada’s online laws. The more recent attempt was in 2013. However, they both failed before they hit legislature due to poor publicity from religious and anti-gambling groups. So from where we stand it doesn’t look like Mississippi will regulate online gambling anytime soon. However, with the $275+ million in annual revenue that the brick and mortar casinos pull in, we wouldn’t put it past lawmakers if another billed was introduced sooner than later. Is there an online poker room that accepts players from Mississippi? Yes. Believe it or not, residents of Mississippi can play at any site that accepts USA players. That includes sites like Sportsbetting Poker, Bovada and BetOnline. Considering their stance on gambling, and that they explicitly state that online poker is illegal, we’re surprised that poker sites still accept new signups from the state. Most states that have strict laws are prohibited from even signing up for play money games, let alone a real money account. What other forms of regulated gambling is offered in Mississippi? Mississippi residents can participate in casinos games at a number of tribal and riverboat casinos, as well as state raffles and charitable bingos. Mississippi does not have a state lottery or para-mutual racetracks. Where can I read more about Mississippi poker laws? Here are some interesting facts about online poker and gambling in the state of Mississippi. Gambling was popular in Mississippi even before settlers came to the state. One of the most popular sports that Indians wagered on was stick ball. Special sticks were used to hurl a ball at the opposing team’s goal post. “Ishtaboli,” as the game was also known, resembled a modern day combo of football and lacrosse, minus the helmets and padding.